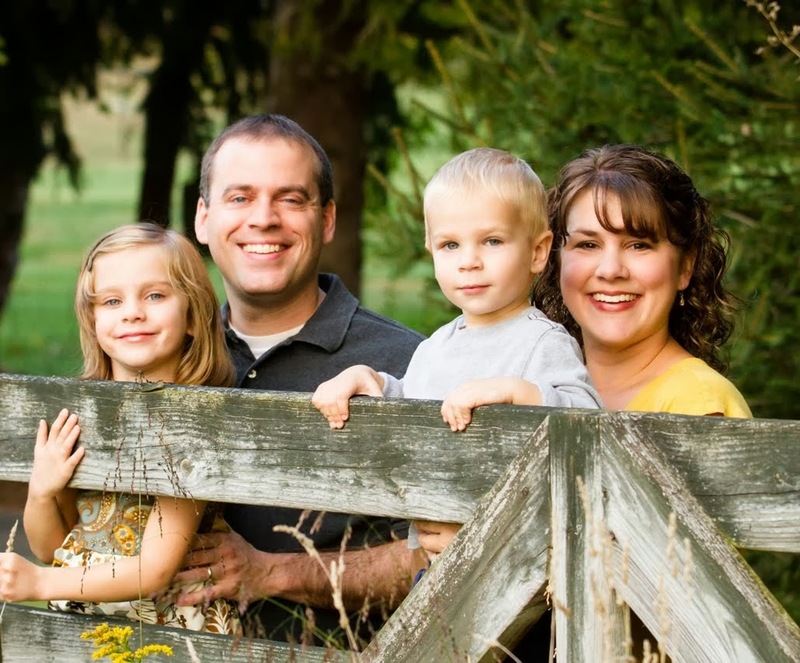 Our kids are currently 3 and 6 years old and we are an American family living temporarily in Gothenburg, Sweden. That means our situation may be a little different than yours, so keep that in mind when you read this. We haven't always traveled with our kids. We'd usually leave them to bond with their grandparents. When we moved to Sweden they were 2 and 5 and we were doing just day trips. Our big trip was to the beach here in Sweden where we stayed in one quiet spot in a familiar country. Come fall our daughter started kindergarten at a school with lots of breaks, and the other child was old enough to not need a nap every day. This was where our traveling really turned a corner and we were able to venture out to other parts of Europe. Granted, it hasn't always been rainbows and butterflies, but there are always really fun parts to each trip. 1. Make sure their tummies are happy. I always stock up on filling snacks (roasted almonds, dried apricots, yogurt covered raisins, etc.) before the trip so we are ready even before takeoff. Happy Tummies also means that we go to dinner places that have a high likelihood of serving food our kids will eat. Sometimes we even ask if the cook is willing to make scrambled eggs and toast for their dinners. This means we don't always get to enjoy the best food a town has to offer, but it keeps the peace. 2. Keep your itinerary flexible and remember you can always come back. Also there's a difference between "family trip" and "vacation." When I plan our trips I have a list of things we can do and places I'd like to see, but we never get to everything. They're usually short and superficial activities since that's what our kids (and my mom brain) can handle right now. And after a day of seeing the sights my family is ready for some downtime, so I have to remember to build that in. When the kids are older (or even grown!) we can take vacations and lounge at tapas bars in Spain that start serving dinner at 8pm, take the Uffizi Gallery walking tour, or hear about all the history inside the German castles. 3. Have special treats. Steve keeps a bag of pocket candy which he doles out whenever somebody needs a little cheer-me-up. We also stop for treats like gelato, stroopwafels, and German pretzels to build in some downtime and reward good behavior. 5. If you are using one city as a home base, make sure travel time for day trips is under two hours. Otherwise there's not much time to spend in our destination before we "time out." It was a little ambitious to try to do Cinque Terre in a day from Florence or Seville/Granada/Gibraltar as side trips from Malaga. It's nice to stay in the same hotel each night, but sometimes a circuit-style trip is better if your destinations are 2+ hours apart. 6. If your kids are not used to sleeping near someone else, try to get a subdivided space. Booking.com is good about letting you know which hotels have quad rooms, but right now we still have to click through and find out if each facility offers a suite with separate bedrooms, bunk beds, or simply two double beds. 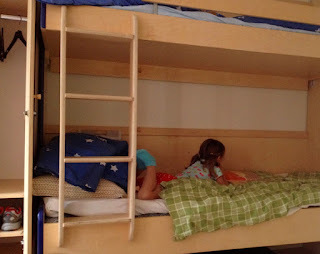 Our kids have their own rooms in our Gothenburg apartment, so sleeping in the same room is a novelty that breeds silliness and we don't tend to sleep as well. We try to get a suite whenever possible. 7. Splurge a little. After all, our trips are nowhere near the investment that a trip to Disney would be. You won't remember how much the taxi cost, but you will remember the difficulty of navigating public transit from the airport with suitcases and sleepy kids in tow. Spriging for the hotel breakfast (if not included) sure beats trying to find more than just a pastry to eat before 10am in many European cities. 8. Direct flights. So far we have managed to find enough direct flight destinations from Gothenburg to fill many trips. Ryanair is the low-cost carrier that services our airport, so sometimes the reason we choose places like Malaga or Marseille is not because they rank so high on our bucket list, it's because there's an inexpensive AND direct flight. 9. Realize that when many people say "traveling with kids," they're referring to elementary-school-age. There's a world of difference between 3 and 9 years old. So while googling "Amsterdam with kids" you may find out about helpful things like the playgrounds at Vondelpark (! ), but there is also a wealth of information that is lost on families of preschoolers. (Googling "[city name] with kids" is a great idea, by the way. You'll find blogs as well as city guides with ideas for the little guys). 10. Find fun exercise. Walking around all day is enough to wear me out, but it's not very fun for our kids. Find a place where they can RUN around (safely) and PLAY, even if it's just for a few minutes. That's the stuff they remember. Also the wild kitties. 11. Give your kids some control. Have your kids participate in decisions, even if you limit the options. Maybe not like, "What do you want to eat?" but "Do you want chicken or a sandwich?" We also have our kids pack and wear backpacks so they have access to their own toys. Letting them make choices gives them a sense of ownership and empowerment in an unfamiliar place. We also ask periodically if they have any questions in order to alleviate anxiety that can masquerade as crankiness. 12. Plan extra time for everything. You know your kids, but you might not think about how long it takes them to eat when there are distractions, or how long it takes to find a potty in a new place. Also the train and bus schedules are merely a suggestion in places like Italy. 13. When packing, less is more. It's easier for us to put everyone's clothes into one big suitcase rather than trying to navigate with four little wheelies. I pack a few extra clothes just in case, but in general everyone gets one outfit per day, and it's casual. We bring a few small toys, but they get the shaft as soon as a waiter brings out colored pencils or there's a happy meal toy. We do let them watch cartoons (which are usually in a foreign language) in the hotel room. I don't know if these tips make you feel more encouraged or more apprehensive about traveling with kids, but I encourage you to try it. Start small, like an overnight trip to a nearby place. And don't overthink it. Sometimes our kids are really happy and fun, and other times we just keep repeating, "This is better than staying home, right?" You just gotta keep trying!